St Leonards Sharing Consortium accepts "street creds" from streetbank.com as a currency, exchangeable for St Leonards Timebank hours. The relevant Hastings Observer articles can be found here about how I brought this work to Hastings & St Leonards when I saw the pier fire as the most accessible & important community development opportunity in the UK, bar one. Have you resolved to join the events on the 2nd anniversary of the Hastings Pier Fire -5th October 2012? Have you paid your £10 refundable deposit for the day workshops on Friday 5th &/or Saturday 6th October? For the 7pm for 7.15pm event entitled: "The Pier Fire Investigation - progress so far" (priced at 2 timebank hours) will you be claiming your discount by bringing along your "Community Loyalty Card"? 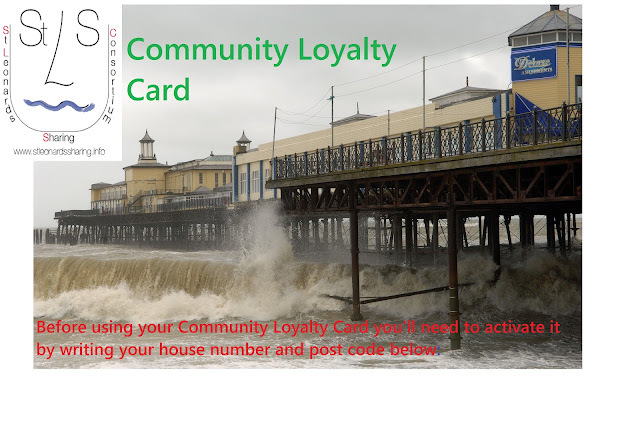 Do you know who designed the St Leonards Sharing Consortium "Community Loyalty Card" & do you know someone who might want to design the next one (Hard cash available)? 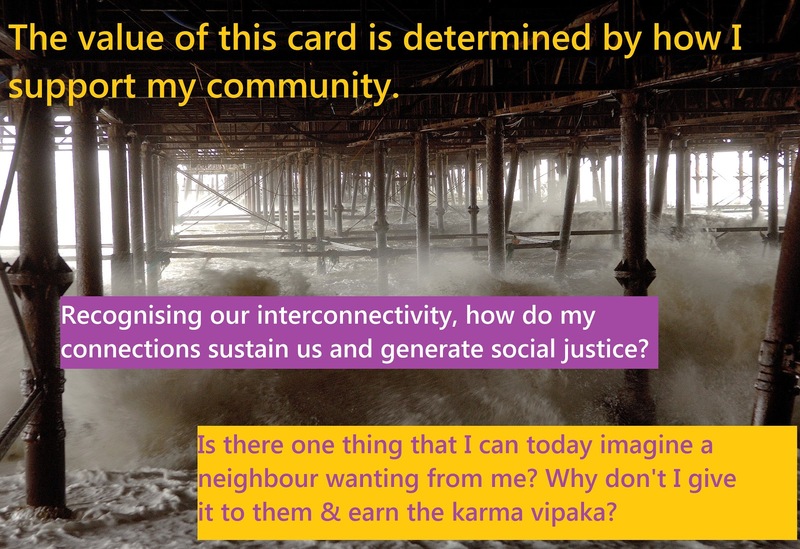 Have you identified other ways in which you want to use a "Community Loyalty Card" or start up a community loyalty scheme with your neighbours? Does any of the above (NOT) make sense to you? All comments welcome below & for queries that you want answered phone/text Paul Crosland on Zero7807066202. i got as far as your appeal for those on the pier on Oct 5th 2009 to 'come in'. I found this playlist selection entertaining but also confusing. the main bulk of the videos seem to be about the pier fire and this I see as a very serious topic for conversation. Matching this material with some of the more abstract items (whirling around on the beach etc) and less serious topics left me wondering at exactly what you the poster wanted me to get from the inclusion of these items? It IS clear from the selection of videos I watched that Paul Crosland has done/is doing a lot of community work and taking an active part in being a member of the Hastings & St Leonards community but less clear is his precise goal in doing so outside of his personal enjoyment. I do not mean this to sound harsh, nor do I mean it as a criticism of Paul who i recognize from my own personal experience of him HAS and DOES put a lot of time and effort into projects. I simply feel that a more streamlined, specific and focussed goal needs to be projected to the masses, that's all.